Modern design is generally considered to have first begun appearing in the early 20th century, but its “moment” arrived in the post-World War II era. A collection of designers based primarily in the Nordic countries of Europe sparked a design movement that focused on efficient, aesthetically pleasing designs that seamlessly combined form and function but without the frills and finery that were ever-present in previous eras of design. Modern bathroom design can work well in bathrooms ranging from tiny to titanic, but because of the relatively unadorned, seamless aspects of modern design, this style is particularly attractive for homeowners who wish to maximize a smaller bathroom space. 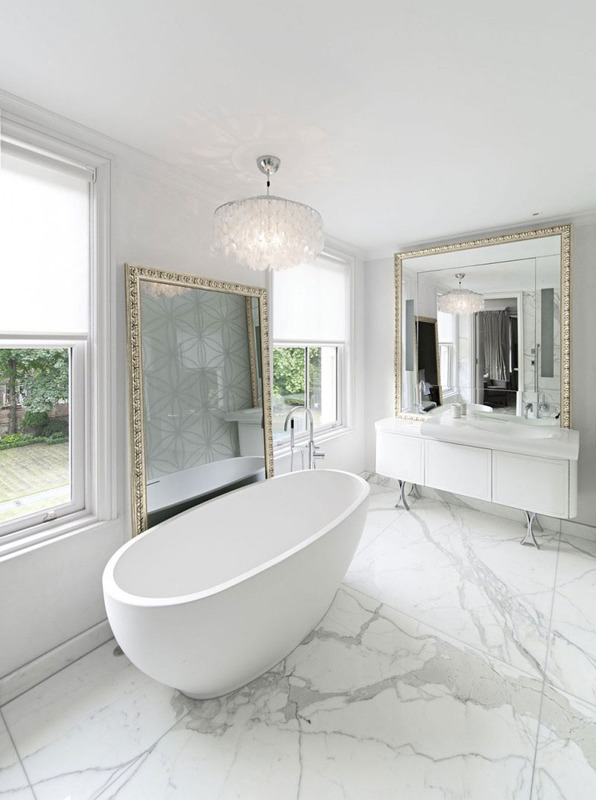 One element of modern bathroom design that can be a great complement to a small space is a raised or pedestal sink, often in angular, rounded or gently curving stainless steel or porcelain. This efficient fixture choice can make a style statement while doing double-duty as a space saver, as it doesn’t require the sink to be set in a larger cabinet, allowing for an elegant and airy effect. When it comes to choosing materials for your modern bathroom design, wood, stone, slate, glass and ceramic will all be in play, as in any bathroom style—but how they’re displayed will define just how modern your design will be. You can also combine materials effectively in a modern design, pairing natural wood with stainless steel in a countertop design, for example, or creating a tilework design from ceramic tile and glass above a vanity. Color choices for modern bathroom designs run the gamut, but with a particular emphasis on soothing simplicity. 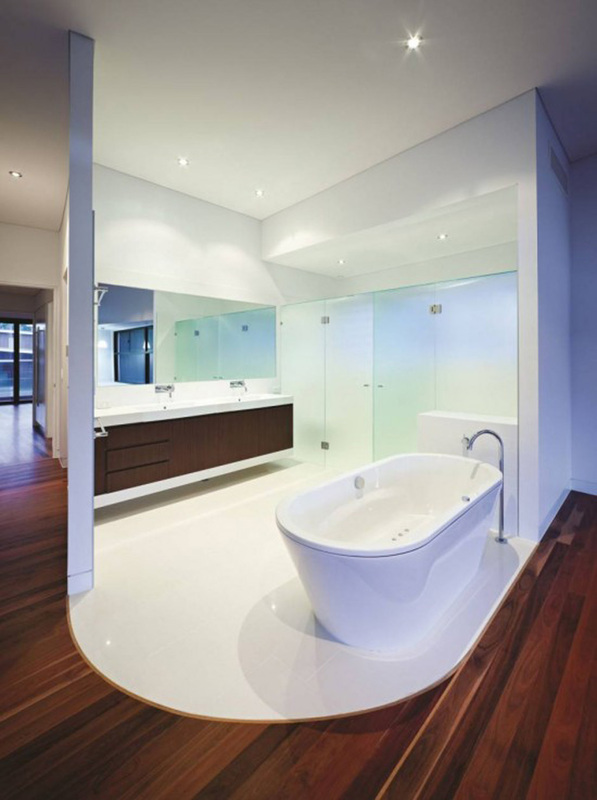 Many modern bathroom designs feature contrasting base colors like whites and blacks or greys. Since simple color combinations can occasionally lack visual interest, many homeowners increase the interest by adding distinctive patterns (like chevron or herringbone) displayed as stenciled wall paintings or wallpaper.